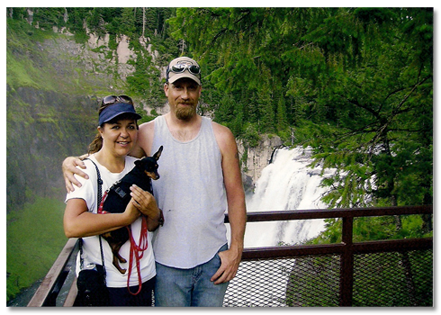 Tracy and Launa Walquist live in Idaho and enjoy spending time in the great outdoors. They like camping, boating and riding 4 wheelers in the hills. Tracy works in the construction industry and has worked in almost every area of residential and commercial building. Launa continues to work as a travel agent and enjoys traveling to and exploring new destinations whenever possible. They enjoy working in their yard and spending time together. They attend church at Harvest Family Christian Center and enjoy hosting monthly life group gatherings at their home. They love the Lord and continue to learn more about his faithfulness and are grateful for his direction in their lives. Their hope is in Christ and they look forward to whatever he has in store for them. "But if serving the LORD seems undesirable to you, then choose for yourselves this day whom you will serve, whether the gods your forefathers served beyond the River, or the gods of the Amorites, in whose land you are living. But as for me and my household, we will serve the LORD"